One and a half year into the EU-LIVE project, we can already look back onto an extensive list of events for the vivid exchange between our partners and beneficiaries as well as for the global spreading of our project’s messages. We are very proud that we were and are able to cultivate an active and on-going dissemination of information, which represents one EU-LIVE’s major goals. More detailed information about the initiated meetings and conferences, that we had the honour to participate in, can be found below. This Face2Face-Meeting, which represented the fourth meeting of the EU-LIVE consortium, was hosted by fka (Forschungsgesellschaft Kraftfahrwesen mbH Aachen). 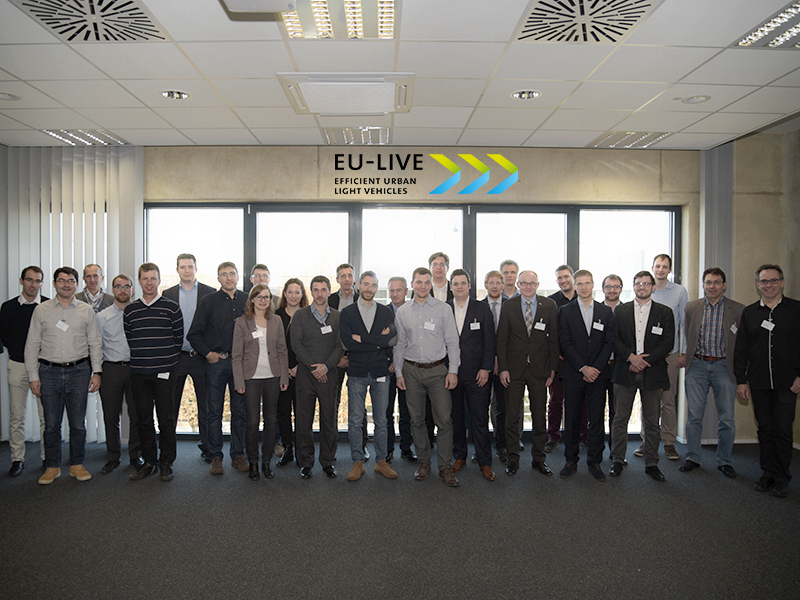 Throughout the event, all beneficiaries were updated to the current “status quo” and had the chance to further develop their shared vision for the EU-LIVE project. At the conference, Stefan Thonhofer from the Virtual Vehicle Research Center attracted attention for the EU-LIVE project by presenting the new, innovative powertrain design as well as by pointing out the importance of L-category vehicles as an integral part in future urban mobility. Throughout her talk “Defining User Requirements in Development of Electric L-Category Vehicle” at the “25th Aachen Colloquium Automobile and Engine Technology 2016”, Melissa Kratschmayr of the Institute for Automotive Engineering RWTH Aachen University (ika), which is a partner of fka and therefore a second level beneficiary of EU-LIVE, showed the importance of involving user groups into the developing process of new vehicles.